Up to four million people visit the centre each year. 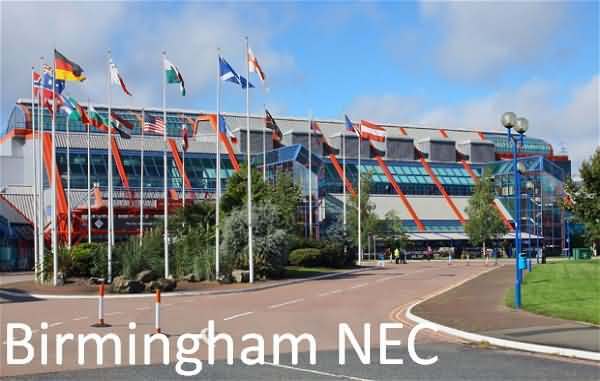 With 21 halls totalling 200,000 square metres (two million square feet) it is also the biggest exhibition centre in Britain and seventh largest in Europe. The NEC is renowned for large-scale international trade fairs, but also has an active interest in helping smaller specialist shows develop, providing advice, support and essential services to organisers. 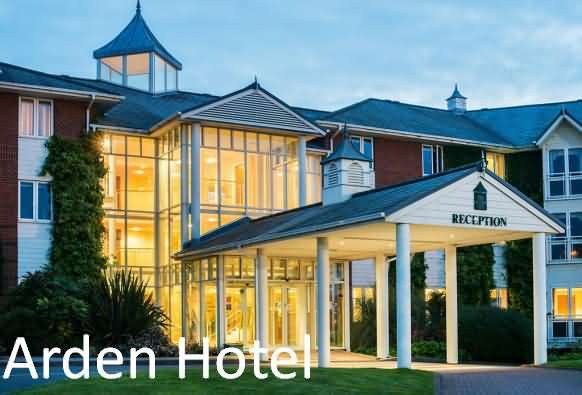 There are numerous Hotels, Bed and Breakfast accommodation along with many Inns, Pubs, Self-Catering and Caravan and Camping Sites at which to stay. The beautiful and scenic northern Cotswolds are only an easy 50 minute car ride away with places like Broadway and Chipping Campden offering excellent accommodation facilities away from the hustle and bustle of the Birmingham NEC area. 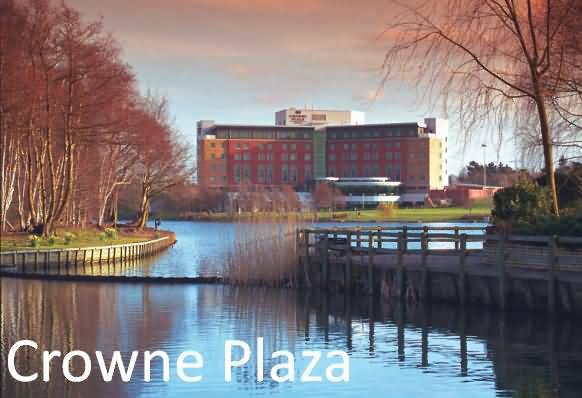 The Crowne Plaza Birmingham NEC hotel is a four star property located on Pendigo Way in the city of Birmingham. It’s near the Birmingham International Airport and next to the M42 highway. The National Exhibition Complex is only 10 minutes walking from the hotel. With 242 guest rooms and suites available over 7 floors it’s a relative large hotel. There are non-smoking rooms available and one room for people with a disability. All the rooms have cable/satellite television with in room movies, coffee and tea making facilities, high speed internet access, telephone with voicemail, in room safe, individually controlled air conditioning, iron, ironing board and work desk. At the onsite Pendigo’s restaurant guests can enjoy breakfast, lunch and dinner with views over the nearby lake. There is a onsite fitness centre where guests can enjoy a workout. A business center is available with copying service. Other facilities include front desk, safety deposit box and concierge services. Parking is available at the hotel against costs. 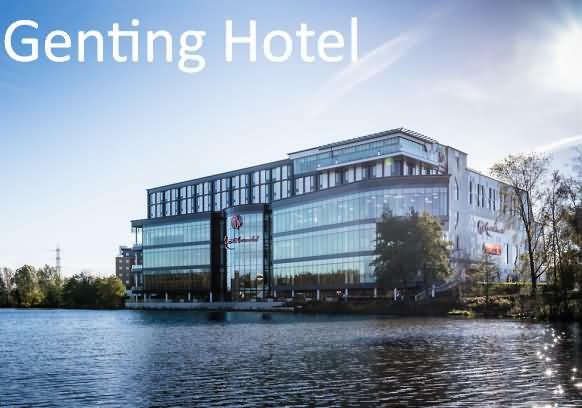 Featuring free WiFi throughout the property, Genting Hotel at Resorts World Birmingham offers accommodations in Bickenhill, just 100 yards from Genting Arena. Guests can enjoy the on-site bar. Private parking is available on site. Every room at this hotel is air conditioned and is equipped with a flat-screen TV. Certain accommodations feature a sitting area for your convenience. You will find a coffee machine in the room. Each room has a private bathroom equipped with a bathtub or shower. For your comfort, you will find free toiletries and a hairdryer. The nearest airport is Birmingham Airport, 0.6 miles from Genting Hotel. Guests praise Genting Hotel at Resorts World Birmingham for its wonderful service, which includes a concierge.